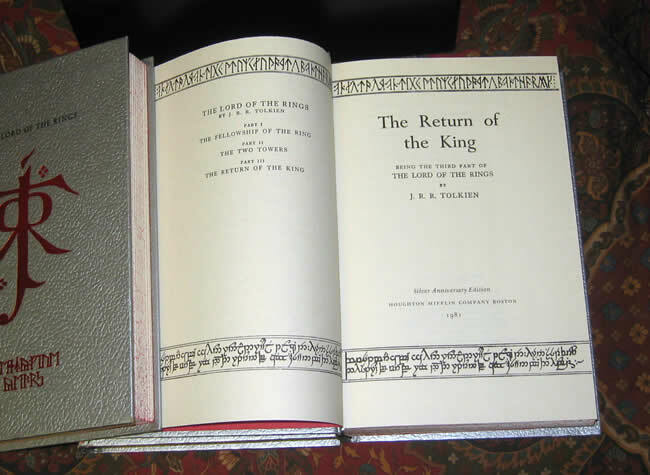 #000506 - "The Lord of the Rings" Comprised of The Fellowship of the Ring, The Two Towers, The Return of the King "Silver Anniversary Edition" - This set is in Near Fine condition. 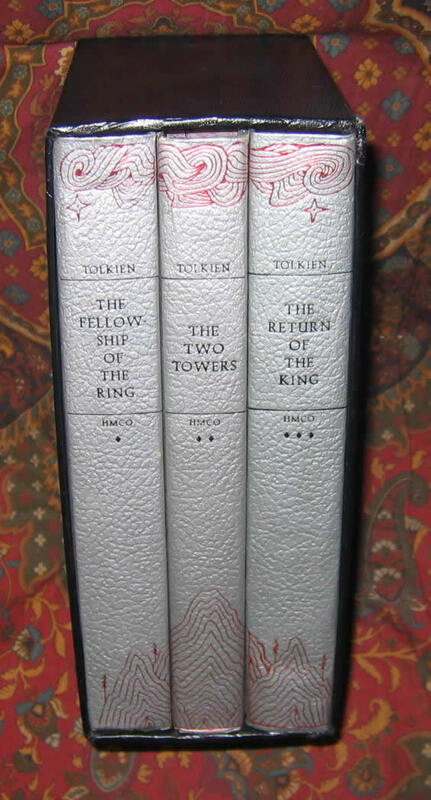 Comprised of the Fellowship of the Ring, The Two Towers, and The Return of the King. 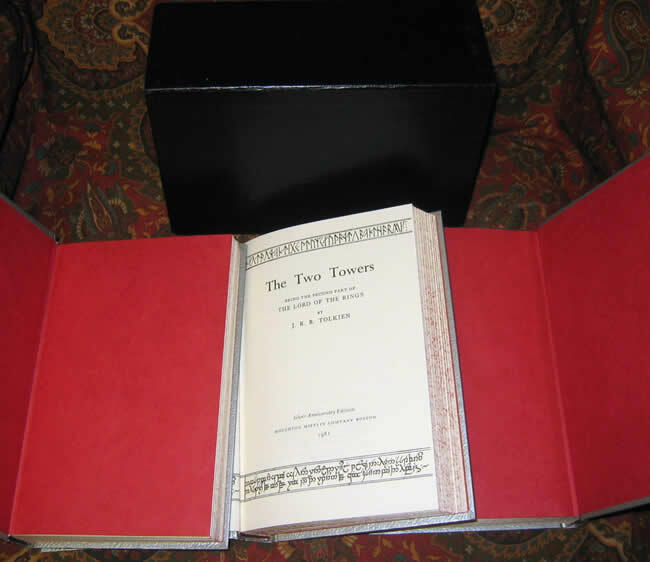 1981 Silver Anniversary Edition, First Thus, Published by Houghton Mifflin, Boston. 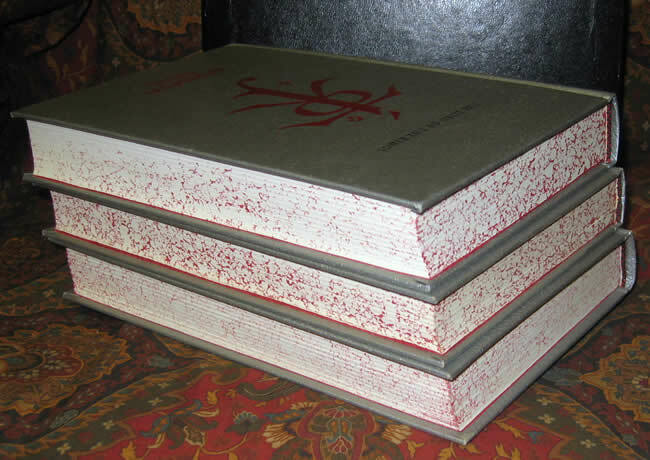 Near Fine with publishers slipcase as issued. 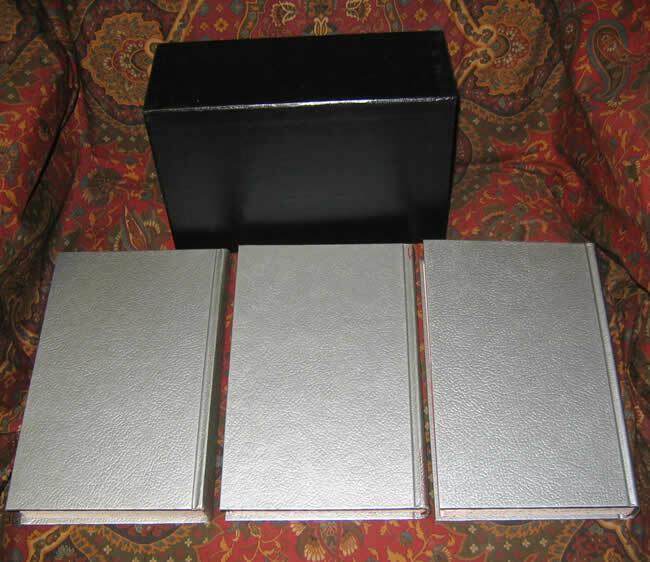 Delayed until 1981, a beautiful design of silver faux leather with red mountains to the spine. 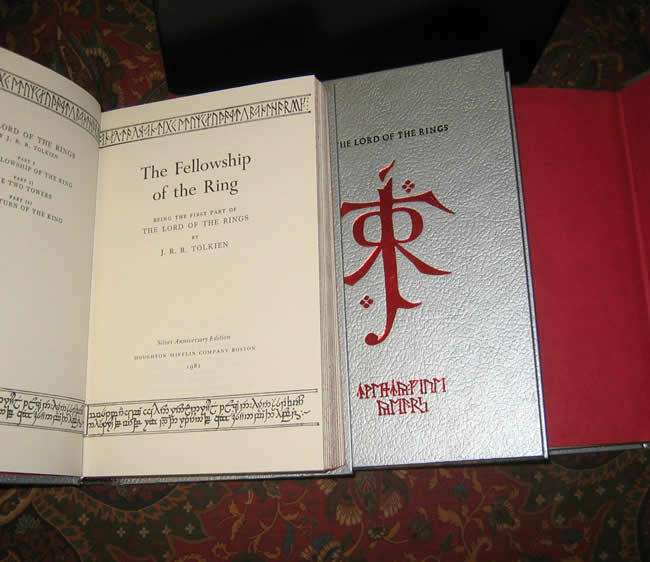 The books show no rubbing, most minor of shelfwear to the bottom of the original publishers slipcase. No writing, names or markings. These are a fabulous set and present beautifully.